Originally created as a retail section in the reception area of a boarding facility in Orono, Bone Adventure owner Brian Fulmer has launched the brand into a successful family business. As a family operation, Fulmer’s three children from his previous marriage to a woman have all returned to help run the business. “What’s interesting as they grow up is that they all identify as gay or lesbian,” Fulmer says, who has been out for twenty years himself. Having spent time away for college and to pursue other interests (the oldest lived in New York and Boston doing musical theater), Fulmer says it’s been a thrill to have his two sons and a daughter home and working with him – almost like coming full circle. Dogs were a large part of family life as Fulmer’s children were growing up, since Fulmer raised and showed Alaskan malamutes. Reminiscing about photos of the kids through the years with different puppies, Fulmer fondly remembers his days with malamutes and corgis around the house. Since his show days, Fulmer has downsized to owning corgis only, which are around the Bone Adventure stores like mascots. Fulmer, who began working with pets professionally in 1977, opened the first Bone Adventure standalone location in 1987. 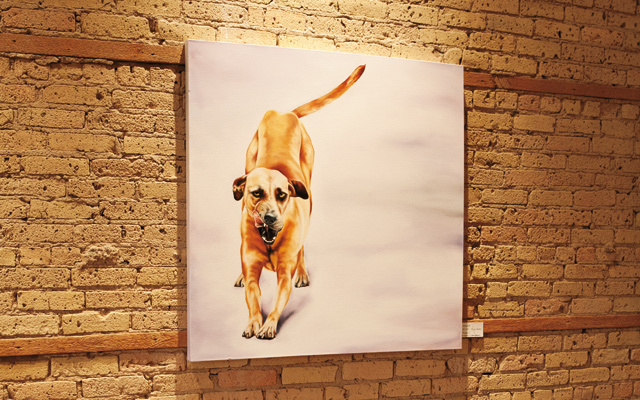 An active member of professional associations, Fulmer was coming across products all over the country and wanted to bring them back to a Minnesota audience and decided to open up a retail outlet to showcase his finds. “I would never have chosen to open a store if there had already been one, but the one that was there was closing, so I figured why not try it?” Fulmer says of his Wayzata location, the first to open. 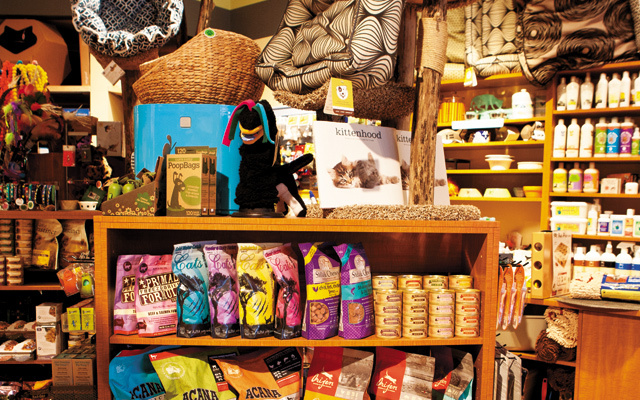 Products at the store cover the basic necessities in caring for pets: high quality foods, leashes, harnesses, and more. But customers need not worry about expensive boutique prices; many report prices similar to or cheaper than major retail outlets. So, what can Bone Adventure offer that other retailers do not? Fulmer says Bone Adventure is typically known for their collar and lead designs, and customers often say they’ve never seen the bed styles offered by Bone Adventure. And many of the toys meet child safety standards as well as for pets, something that Fulmer says can be pretty rare. 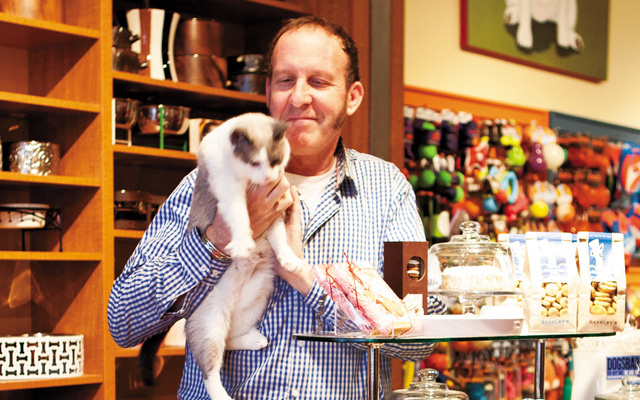 In fact, customers flock to Bone Adventure during Pride for their pet products. 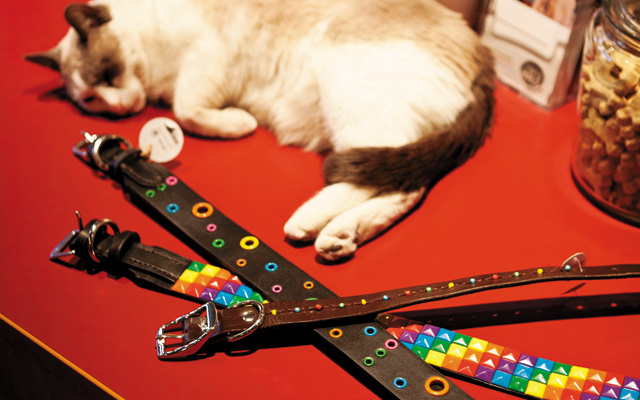 Having done pet get-togethers and other pet-related events during Pride week, Bone Adventure readily stocks rainbow-themed products that time of year. Bone Adventure’s presence at Pride isn’t the only way they show they care about their clients. Pets are always welcome within the store and two of the locations even include a grooming salon as a full-service retail location for every pet owning need. And rightfully so, as grooming questions are the most frequently asked of Bone Adventure staff. “We’ve always been happy to be seen as an open and welcoming retailer,” Fulmer says. For more information, go to www.boneadventure.com.